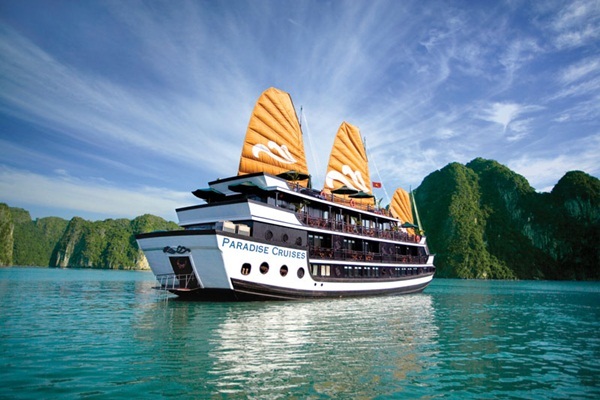 For travelling in Halong Bay, you can choose one of two important packages: 2-day-1-night cruises and itinerary cruises. 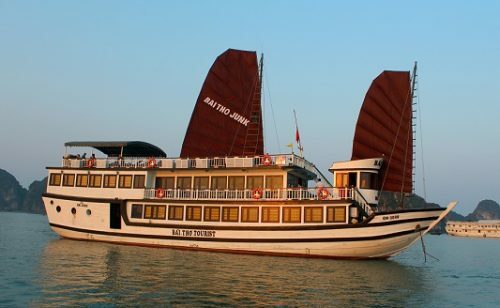 To enjoy both the amazing Bai Tu Long Bay and Halong Bay with the itinerary for a limited time schedule, 2-day-1-night Halong Bay cruise is the best choice for you. Not only taking part in a many interesting activities such as: kayaking, bamboo boat trip, swimming, etc, you will also have an excellent chance to explore less visited sites in Halong Bay & Bai Tu Long Bay. 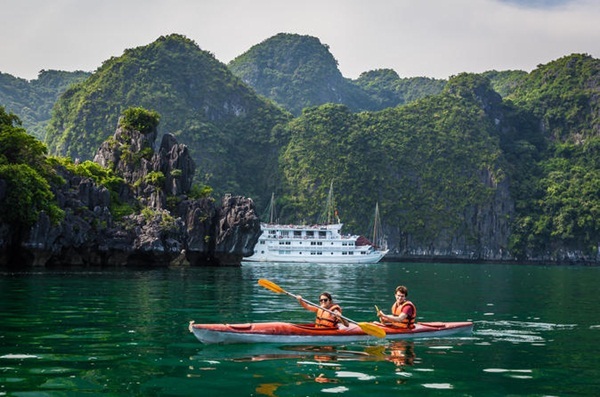 Aboarding Halong is considered as the best way to experience the most incredible scenery of one of the most charming bays recognized as a world heritage by UNESCO. To discover the most exotic and magnificent destinations, the 3-day- 2-night voyage gives you countless opportunities. 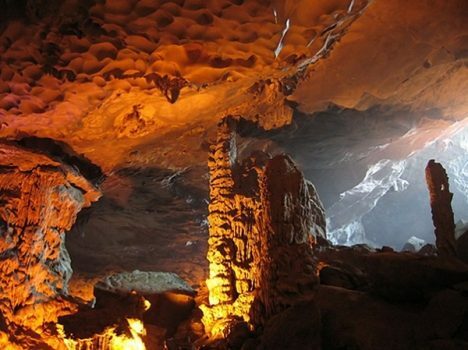 Any visitors coming to Halong Bay will be well treated with the picturesque beauty of seascape of limestone pillars, emerald water and majestic caves. For scenic boat ride experiences, Halong Bay is one of the most attractive selections. 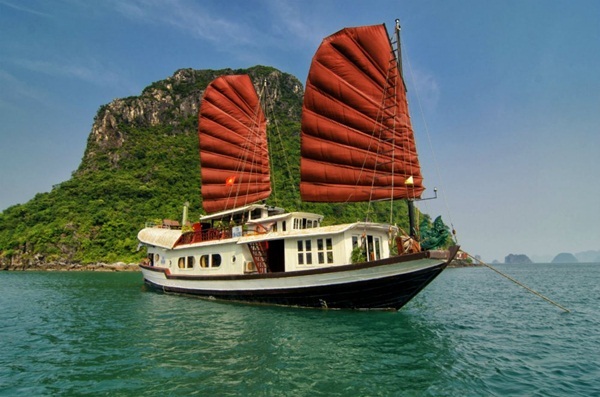 Halong wooden junk, among various cruises, which is crewed by a loyal, professional and dedicated team may be your best option. 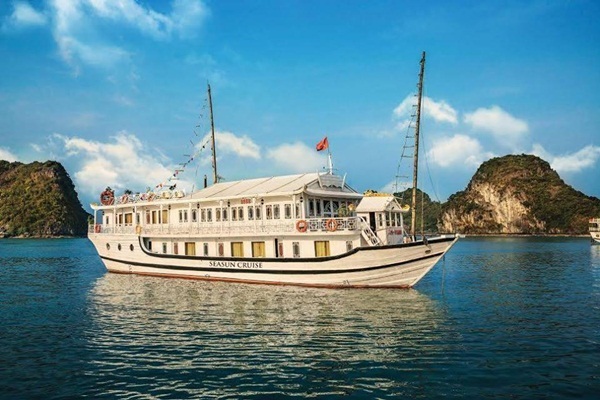 Halong Bay cruises, different from landing tours, are usually arranged to permit travelers to have overnights on the cabin while the ship is getting closer to “the land of a thousand-islands”. You will definitely explore many strangely sculpted limestone islands and outcrops from the windows of cabin. Giving you an ideal chance to freely explore thousands of islands and crystal- blue water, kayaking seems to be the best amazing activity of Halong Cruises tour. By trying to keep balance, two people will control each kayak and easily move to some mysterious caves and unnamed islands. Except for sleeping time, the junk/boat keeps moving slowly on the sea all the time. Therefore, enjoying your meals among the peaceful atmosphere of nature will be more romantic and lovely experience. You will be served a splendid meal including: fresh seafood dishes as well as traditional Vietnamese fare since your crew weighs anchor in the middle of the bay.